UGHHH!!!! That is often the sound that one makes when they are called upon to the play the piccolo. Why we as flutists shy away from our little friend is no mystery. It is loud, exposed, and we usually get an assortment of looks from those close by. People expect that we will be out of tune no matter what we do, and we are often blamed for the simple reason that we can be most heard. Who would want to play an instrument with all of that baggage, right? Well, all of these problems do indeed occur, however most of the time they are greatly magnified in our minds. Insecurity takes over which leads to unwanted tension, a tightened embouchure and poor tone production. The first step to becoming a good piccolo player is to embrace these issues as a challenge, working toward dispelling the negative aura that has clouded the little flute for so long. The truth is that the piccolo is an instrument with many colors and expressive capabilities. It can play exquisitely soft, and can also ride on top of, and lead an entire orchestra. It is definitely a force to be reckoned with, and how empowering it is to know that we control such a thing in our hands. Yes, anyone who can play the flute can play the piccolo, but playing it well is a different story. If we neglect to practice the flute for a month, it is likely that we will not sound our best. So why is it that when we dust the cobwebs off the piccolo, we wonder why we sound “Soooo bad”? No mystery lies here either. If we do not give the piccolo a little attention once and awhile, it is not going to sound like a million bucks. Just fifteen minutes every-other day to start with would greatly improve anyone’s playing. An increased comfort level will also lead to an increased confidence level for those who may feel tentative when playing the instrument. This way, when piccolo opportunities arise, you can be ready and willing instead of fearful or shy. Many, including myself, will debate the differences and similarities between the two instruments. To play the piccolo well only takes knowing what is the same and what is different, and how to deal with these differences. No two people, or instruments for that matter, are alike, so you have to discover some of these issues on your own. The most important thing is that both instruments are vehicles for making music and conveying a composer’s wishes, and that, of course, is the ultimate goal that we are trying to achieve. We have the opportunity and responsibility to change the minds of others, by simply making a small change in our own. 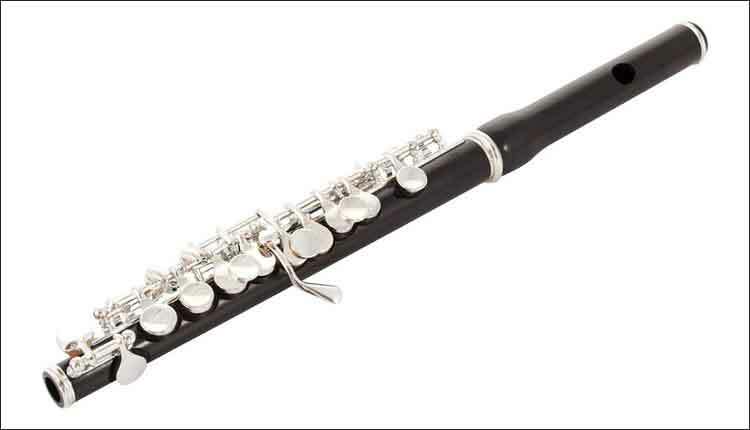 We often do not like to play the piccolo because we feel that no one else likes it when we do. We can not let this attitude get in the way of our duty. It is time as flutists that we embrace our companion, playing it with authority and conviction and always with character, beauty, and finesse. The following are nine tips to help get a handle on piccolo performance and practice. Nine tips for improving your capabilities on the piccolo. Yes, you are sitting in the hot seat, but use it as a tool to help build your confidence. So you will turn a few heads, and not always in a positive way, but you have a job to do. If a composer requests a loud dynamic, it must be played. This does not mean that you have to aim your piccolo directly at your colleague’s ears. Ear plugs and shields are available if they are uncomfortable, and it is also polite to let them know when you have a particularly loud passage. If you have to play piccolo that day- take some time to do long tones and some of your other favorite exercises. It is only going to help you feel more comfortable. Practicing with a tuner is very important, but also use and trust your ears. Always know your pitch tendencies on problem notes, and more importantly how to make it in tune.It is also wise to know the tendencies of other instruments that you might be playing with, including the flutes, and E flat clarinet, for example. Don’t be afraid to use special fingerings for intonation purposes. They will only make your job easier. The piccolo is smaller than the flute, so the aperture is as well- but it should not be tighter. Tightening up will lead to a pinched tone, which is a direct root of most intonation problems. The piccolo needs a faster air stream than the flute. This does not mean that you have to blow harder or more forcefully. Always have a good reserve and use it wisely remembering that the piccolo carries well on its own, without your extra help. A full and relaxed tone will always project better than a forced one. Air direction plays a crucial role in piccolo playing. Be aware that small changes in air direction can make a huge difference. Keep in mind that when you are playing softly, it helps to aim the air higher to keep the pitch up. And when you are at full volume, you may have to blow more downward and into the piccolo to keep from being too sharp. Also pay attention to large intervals. Proper air placement is crucial for correct intonation. Because the piccolo is smaller a big flute vibrato is too intrusive.Work toward a vibrato that is not too wide, but rather in the tone. You must vibrate and make it beautiful; however it shouldn’t be overly noticeable or obstructive. You always get to play solo, your lips will have more flexibility (which will help your flute playing) and your ears will be more fine tuned and ready to detect intonation issues. Don’t forget- increased employment opportunities!! Practice a familiar flute piece on piccolo. For example, the slow movement of a Bach Sonata, or the opening of the Faure Fantasie. Playing something that you are familiar with and know well will definitely help. You are going to want to make it beautiful and you will know when it’s not. Pretend like you are playing it on the flute, keeping all of these piccoloisms in mind. Nicole Esposito, a native of North Adams, Massachusetts, is currently the Principal Flute of the Dubuque Symphony Orchestra. As an orchestral musician, she has performed under some of the worlds leading conductors, including James Conlon, David Zinman, Gunther Schuller, Robert Spano, Micheal Stern, David Robertson, and Andrew Litton. Nicole has been the Piccolo Fellow for the Aspen Music Festival and has also been Principal Flute of the Ohio Light Opera, where she can be heard on three recordings (Albany Records). Other music festivals she has participated in include the Brevard Music Center, The Youth Orchestra of the Americas, and the National Orchestral Institute. Wanting to keep her versatility as a performer, Nicole has been featured at the Piccolo Spoleto Festival, the San Jose Jazz Festival, the Interlochen Arts Academy, the Detroit Institute for the Arts, and upcoming appearances include those throughout the United States, Europe, and South America. As a strong advocate for the piccolo, Nicole has performed as a piccolo soloist many times. She was the first piccolo player ever admitted to compete in the prestigious Houston Symphony Ima Hogg Young Artist Competition, and has also been a finalist in the National Flute Associations Piccolo Artist Competition. No stranger to the competition scene on flute as well, recent honors include prizes at the WAMSO Competition sponsored by the Minnesota Orchestra and the National Flute Association’s Orchestral Competition. Nicole has also been a semi- finalist with the National Flute Association and the William C.Byrd Young Artist Competitions, and the Haynes International Flute Competition. Nicole received her Bachelors Degree in Flute Performance from Carnegie Mellon University, where she studied with former New York Philharmonic Principal, Jeanne Baxtresser. There she also studied with Jennifer Conner of the Pittsburgh Symphony, and contemporary music specialist Alberto Almarza. She won first prize in the 2001 Concerto Competition, and performed the Liebermann Piccolo Concerto with the Carnegie Mellon Philharmonic. Nicole completed her Masters Degree at the University of Michigan as a student of Amy Porter. While at Michigan, she was Principal Flute of the U of M Symphony Orchestra and at the request of composer Michael Daugherty, recorded his piece The High and the Mighty, for piccolo and piano. Other primary teachers include Mark Sparks, Marianne Gedigian, and Catherine Payne.